As of August 7, 2017 all members are now Level Up Members with a minimum donation of $25.00 per month. If you are a senior that's on a tight budget, or disabled and are a military vet and are in need of help please let me know as we have members willing to help on monthly donations. This increase is merely to help pay for ongoing and past Stryker Blog Federal Taxes owed and to help keep or fact based forums up and running. Level Up Passwords: If you have already increased your monthly and need the Level Up password please let me know. I paid the $25 but cannot watch the latest blog. Says I have to pay additional $25. It shows you have full access, are you using the same password that you setup as a member when you first started your account? ok stryker... I really never check, so not sure when in the month I'm charged - but, I left my card in the atm.. and the bank cancelled it, issued a temporary for now - and new one within a week.. needless to say - several accts I need to notify. So - now how does one go about fixing this mess? are you just gonna start a tab for me ?? like in the old days they did at the bar? All you have to do is login to your PayPal account and look for Update Payment Method or Update Card under your Profile area. There you can update the card info. I want to use my debit card to deduct my $25 per month....may I use that rather than PayPal? I think you can but let me checl and I'll let you know. And that should do it but please email me at info@StrykerBlog.com after you get this done so I can make sure the system gives you full access. I had requested a month or so ago via email to have my monthly payment suspended since I AM ON TOTAL DISABILITY and with winter I cannot afford the monthly payment. Due to high heating cost and the fact electric was included in the rent now I am required to pay. I attempted to access the site today and was unable to gain access. I you could please afford me the favor for the next few months to have access to your site it would deeply be appreciated. I have given you access for the next two month thanks to a few of our Senior Members that donate for others. I'll contact you shortly to make sure you know have read this, sorry for the delay but I had no idea your post was here. count me in.. I'm willing to pick up someone's fee bro.. 'Unregistered' - isn't the only one out there stuck in these situations of life and circumstance.. I SO MUCH respect folks that want to follow the facts, truth - as this has been an individual journey for each one, along that road of all the gurus and crap out there - that somehow led them here, to facts and education. Please let me help - I don't want anyone to be denied this site, I should say - this "IN SITE".. no one should have to lose out due to their financial situation. Plus - stryker - I don't want your big heart letting you take it in the shorts either, you have a way of doing that - don't.. we want 'you' ok too! Hello Stryker I pray that things are going well with you and your family! 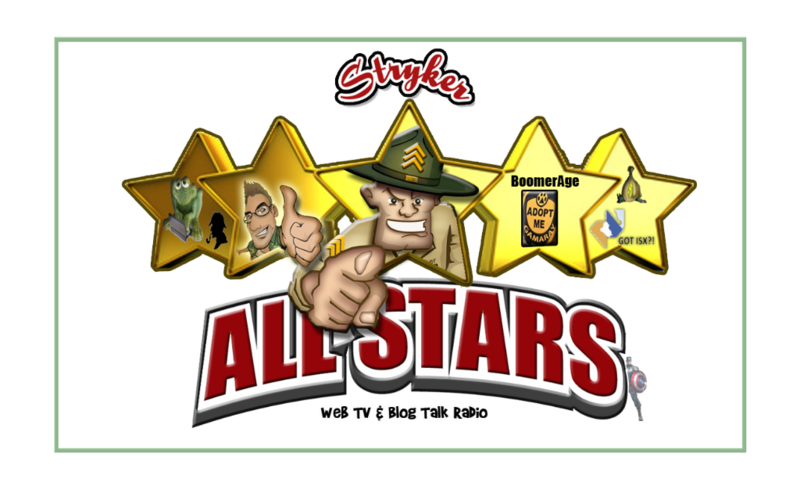 Your strykerblog has not been showing up on my email at arthurmendez55@gmail.com. ???????? Stryker we started paying our monthly dues in December 26, 2017 but still have not received our password to get on. Could you please send it to allow us to get in.